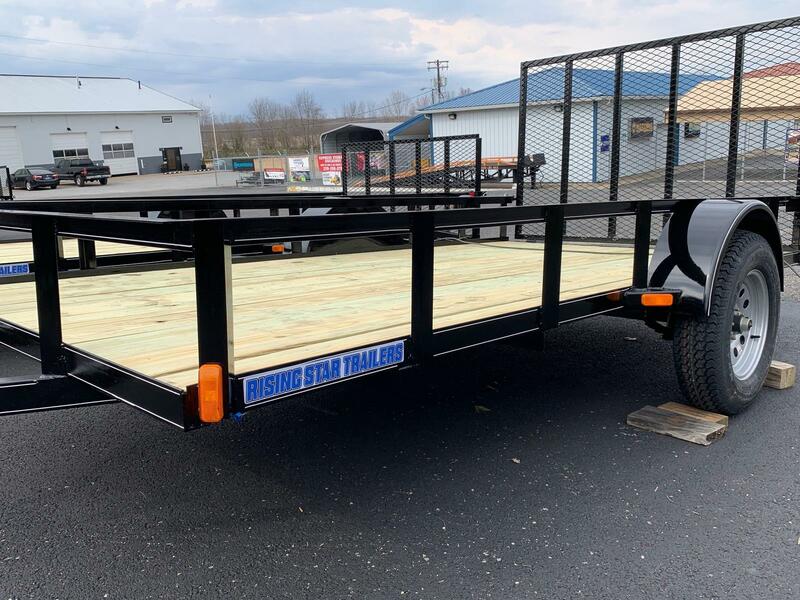 Rising Star Trailers 6 ft 4 in. 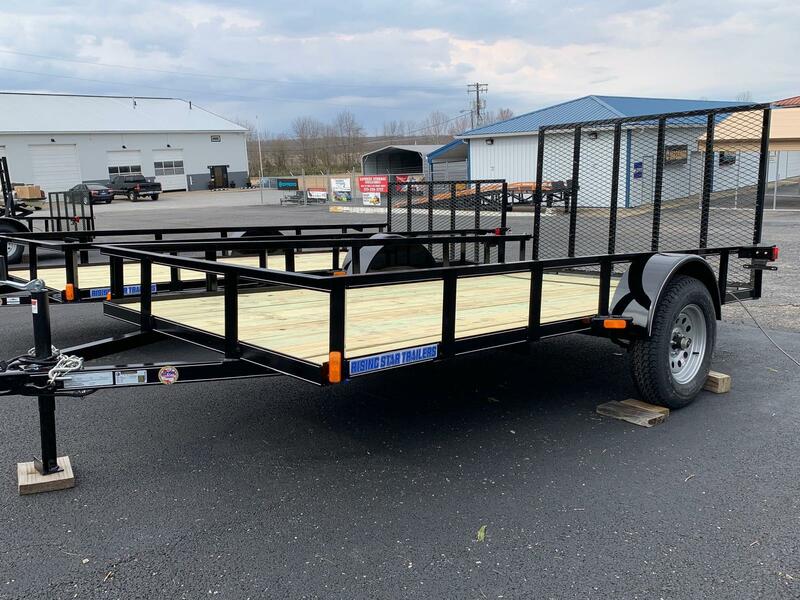 X 12 ft Utility Trailer with 3500lb Axle, Treated Flat Deck and 4 Ft Gate with Steel Mesh; 3 in X 2 in. steel angle bottom frame rails; 2 in. X 2 in. 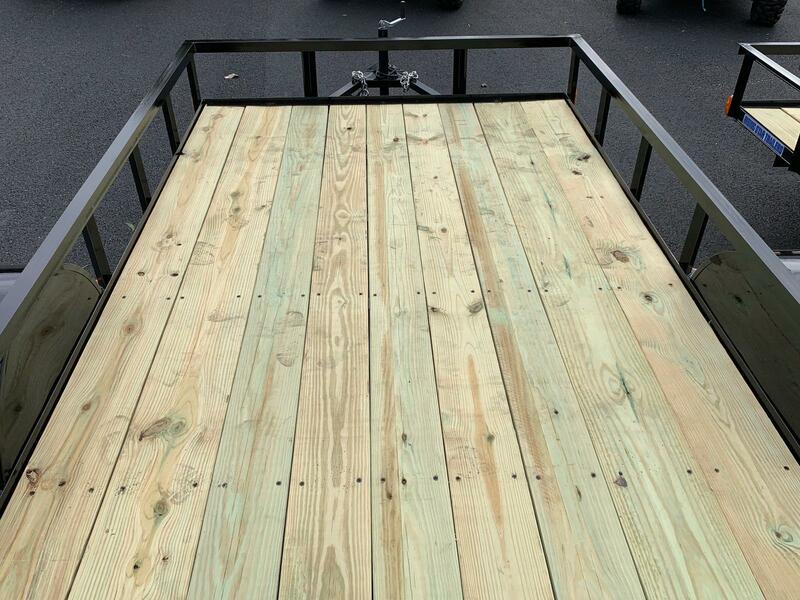 steel angle top rails; RAM jack and coupler; ST205/75D15 Kenda Load Star Tires on 15 in. Americana Steel Wheels; Treated Wood Floor; Peterson Tail Lights. NATM certified and manufactured here in western Kentucky. 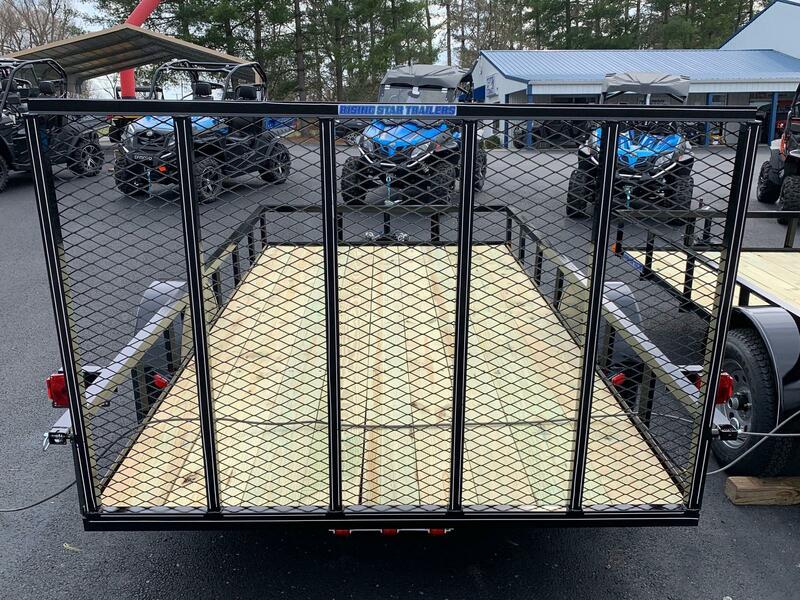 Cash sale price excludes 6% KY sales tax and any applicable title or license fees.